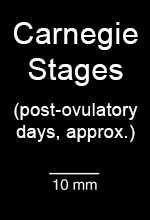 Carnegie stages are a system used by embryologists to describe the apparent maturity of embryos. 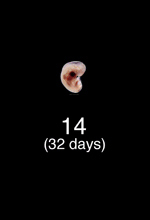 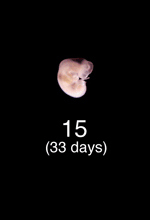 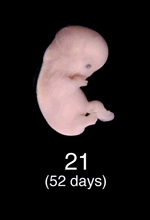 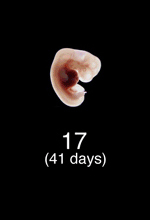 An embryo is assigned a Carnegie stage (numbered from 1 to 23) based on its external features. 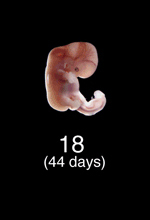 This staging system is not dependent on the chronological age nor the size of the embryo. 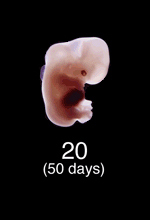 The stages, are in a sense, arbitrary levels of maturity based on multiple physical features. 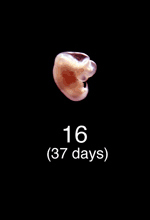 Embryos that might have different ages or sizes can be assigned the same Carnegie stage based on their external appearance because of the natural variation which occurs between individuals. 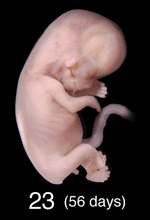 Postovulatory age is frequently used by clinicians to describe the maturity of an embryo. 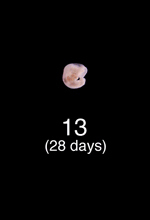 It refers to the length of time since the last ovulation before pregnancy. 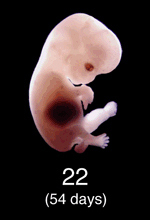 Postovulatory age is a good indication of embryonic age because the time of ovulation can be determined and fertilization must occur close to the time of ovulation. 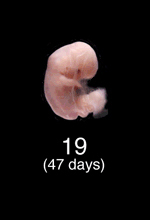 The terms "gestation," "pregnancy," and "conception" are usually avoided in describing embryonic age because fertilization is not universally accepted as the commencement of development (some consider implantation as the beginning of development).